1. A deposit or full payment must be paid at the time of booking. 2. No contract is agreed until the deposit or full payment is received. 3. No trip or course will commence until full payment has been received. 4. Once full payment has been received the Client agrees to the following Terms and Conditions. 6. Group trips/courses require a minimum of two people to run. Where this minimum is not met, an alternative trip/course or refund will be available. 7. Refunds are not available in whole or in part for unused lessons due to Client late arrival, illness, accident, adverse weather conditions, or for any other cause outside the control of Sea Kayak Devon. 8. Sea Kayak Devon reserves the right to cancel a trip/course where reasonably necessary. In this instance an alternative trip/course or refund will be available. 9. Sea Kayak Devon does not provide insurance for any Client or third party. It is the Client’s responsibility to arrange appropriate insurance to cover any activity undertaken during a Sea Kayak Devon session. 10. On matters of safety during the session the decision of the Sea Kayak Devon instructor is final. 11. Clients should ensure they are fit and appropriately attired for physical activity in a coastal environment. 12. 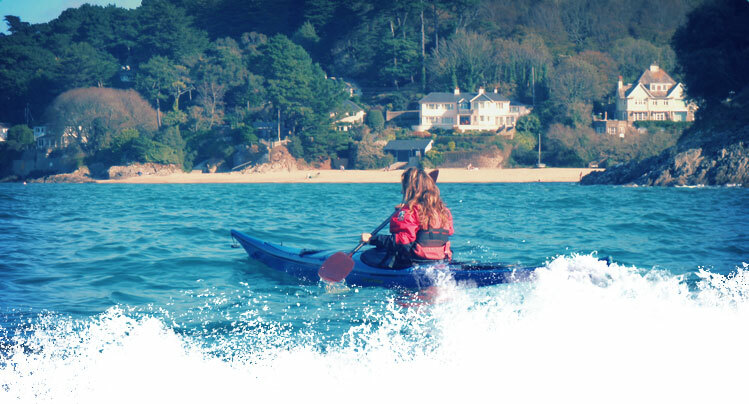 Sea Kayak Devon excludes all liability, to the extent permitted by law, for any injury or loss suffered during a Sea Kayak Devon session. 13. The Sea Kayak Devon instructor will wait a maximum of 30 minutes from the session start time, at the arranged meeting point, unless notified by the Client in advance. 14. Prices are correct as of May 2017, but are subject to change. 15. Any complaint should be made known verbally to Sea Kayak Devon immediately and in writing within ten days of the incident. Sea Kayak Devon will endeavour to resolve such complaints to the satisfaction of any aggrieved party. Where no satisfactory resolution is made, a referral may be made to British Canoeing for guidance on final resolution of the dispute. 18. Any contract between Sea Kayak Devon and another party will be governed by, and construed and interpreted in accordance with, English law. Site design, text, graphics, files and all other content are © Sea Kayak Devon, all rights reserved. Any other use of materials on this site, including reproduction for purposes other than those noted above, modification, distribution, or republication, without prior written permission from Sea Kayak Devon is strictly prohibited. The information, services, products and materials available on this website, including, without limitation, text, graphics and links, are provided on an ‘as is’ basis without warranty. This site may contain links to other sites on the Internet that are owned and operated by third party vendors and other third parties. You acknowledge that Sea Kayak Devon is not responsible for the availability of, or the content located on or through, any external site. You should contact the site administrator or webmaster for those external sites if you have any concerns regarding such links or the content located on such external sites. Under no circumstances shall Sea Kayak Devon be liable for any direct, indirect, special, punitive, incidental, exemplary, or consequential demages, or any damages whatsoever, arising out of or in connection with the use, inability to use, or performance of the information, services, products and materials available on this site.